I'm three weeks behind posting this song! Forgive me UK Afrobeat fans! Introducing... The latest and probably one of the hottest (lol) UK Afrobeat artists on the scene.. Sona! Already having a fan base in the UK, Sona doesn't actually need any introduction - but for those of you who don't know who he is, here's a little insight below.. Formerly part of D.R.T who are known for their smash single ‘Salsa Skank’ and their song ‘Get Mad Now’ was the official sound of one of the Specsavers advert, two years ago. Which gained him a lot more recognition as a group member to D.R.T and also as a solo artist. Through the years Sona has released self-produced singles such as ‘Shola’, and now the 22 year old is back with ‘Summertime’ - produced by Trybe Records' very own Sheyman. The song was released just in time for the British sun we've been experiencing over the past couple of weeks in the UK. Sona is due to perform at the Davido UK Tour on September 15 in London's IndigO2, alongside Davido and the HKN Gang, Lola Rae, Mista Silva, Tillaman, Mo Eazy, YFS and a few more. More details to come on that later on! The producer-singer and songwriter is working with a few other UK Afrobeat acts - Kwamz, Flava, Showa Shins, Starboy Willz all on a new track - hopefully out later on this year. 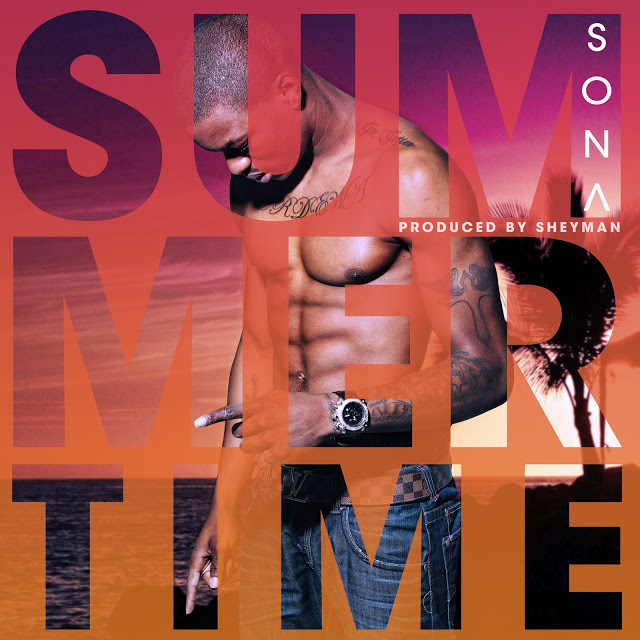 Sona will shoot the music video to ‘Summertime’ this coming Friday in London! "Once again my guys it's summertime, e sha ma jaiye lo!"